Cameron, like me rarely eats pasta so we both substituted shredded cabbage for the pasta. I used two cartons of low sodium vegetable broth for the chicken broth. I used spicy chicken sausage and it really flavors the soup so I just seasoned it with very little salt, some dried basil and black pepper. We skipped the Parmesan Cheese. 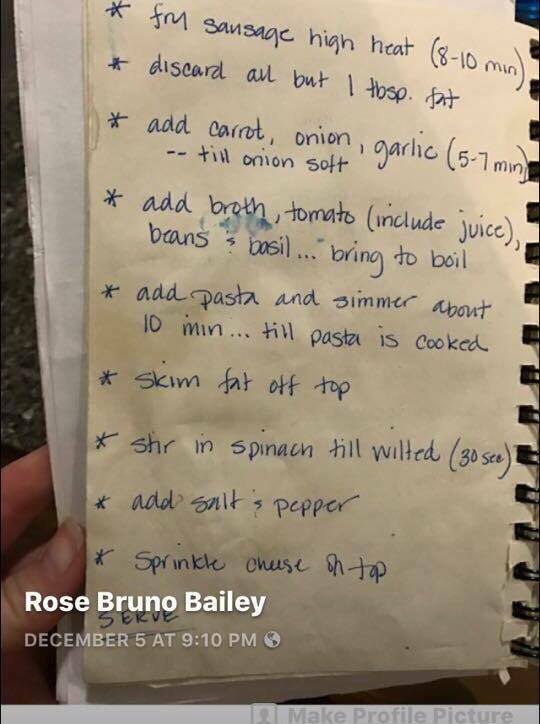 This soup is as easy as it is written out. We had a simple salad of romaine, tomatoes, red onion and oil and vinegar. 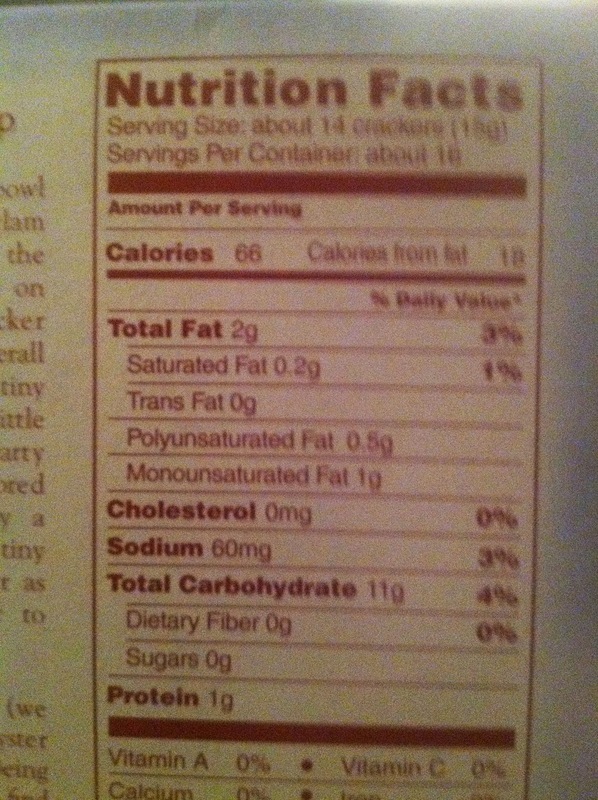 I am really trying to limit our sodium intake. This meal was healthy and so satisfying. We completed the meal with sprouted bread topped with Miyokos non dairy creamery spread, made out of Coconut oil and organic Cashews. It was delicious, but of course we used portion control. I read about it in the Magazine VegNews and when I went to Trader Joe’s I was delightfully surprised to see it on the shelf, and it really was a hit with my husband James. 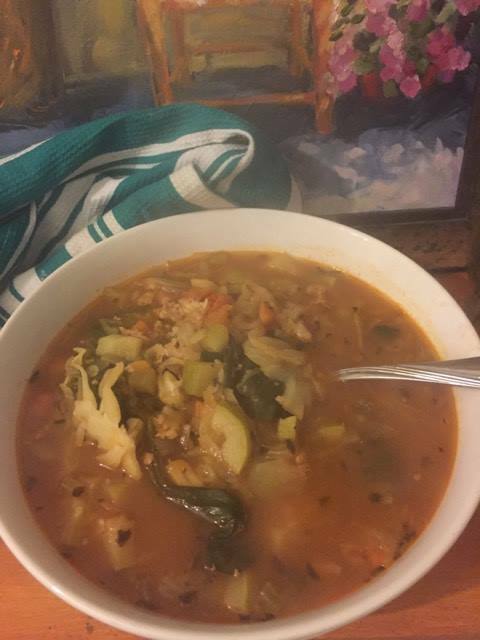 I hope you are having a wonderful beginning 2017, and if you find yourself needing healthy soup to warm you up, give this a try and let me know how you like it. Every day is a new opportunity to get inspired and chase your goals, even when it is cold outside. This entry was posted in benderfitness, clean eating, Cooking, fitness, motivation, my change for a ten, new years resolutions, portion control, Recipes, Resolutions, slow weight loss, soups, trader joe's recipes, vegan, vegetarian, weight loss and tagged easy recipes, experimenting with vegan products, healthy recipes, Losing weight, melissabenderfitness, mychangeforaten, recipes, Soup recipes, vegan products, weight loss, working out on January 4, 2017 by mychangeforaten. Happy Saturday, he is a post and favorite recipe from 2013. Today was a laid back Caturday, with a simple soup and a trip to our local Trader Joe’s in Millbrae CA. 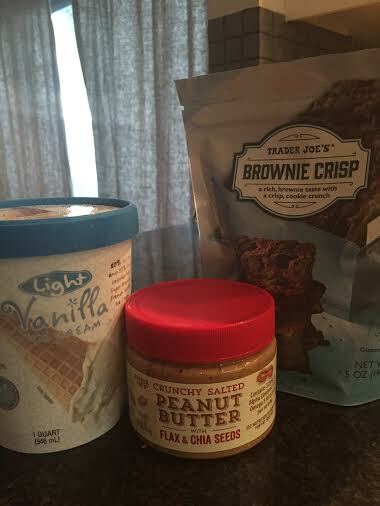 I sampled their new Vegan Gluten Free Brownie Crisp, and just 100 calories for three crisps. Just what I need when I feel a chocolate craving coming on. I know how to portion control and limit my treats, but it is ok to splurge now and then and work it into my program. Nicole from Trader Joe’s was the sweetest and her kindness reminded me of the Trader Joe’s of West Hollywood. She is also a weight loss inspiration since she just lost 35 lbs. Congrats to Nicole and everyone making it happen. For you naysayers out there, it can be done. You can do it. It just takes a little hard work and a can do attitude. 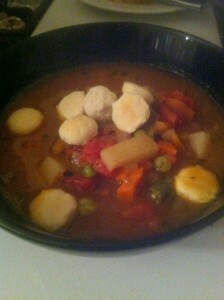 I did this recipe as is, but I chose to pass on the potatoes for tonight’s soup and added mixed bell peppers instead. I hope you like my easy one pot vegetable lean beef soup recipe from 2013. 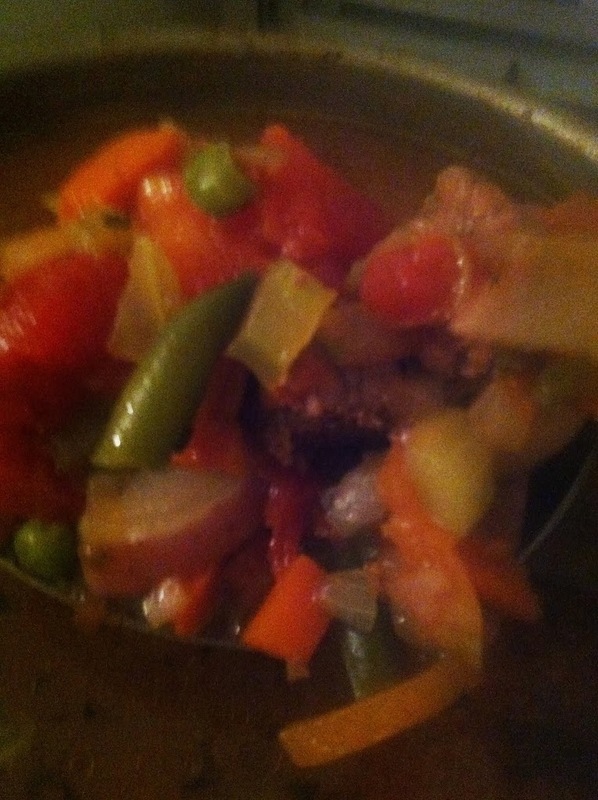 My Mother in Law Julie Bailey used to make us the best homemade Vegetable Beef Soup. 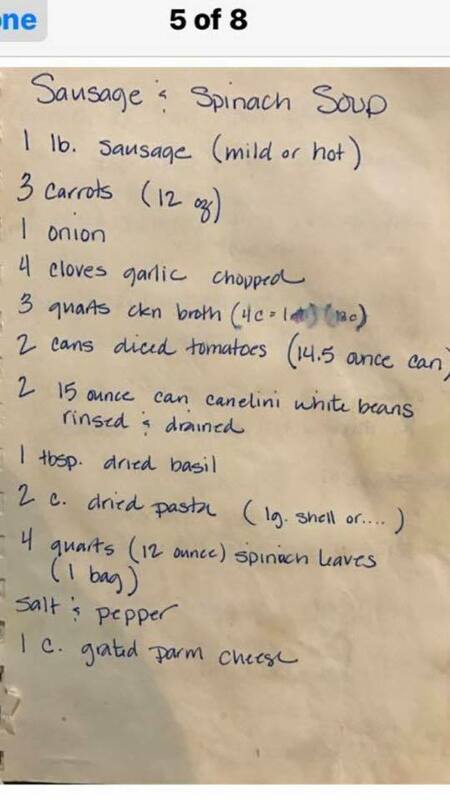 When I would visit on a cold January day she would whip up this one pot wonder, and serve it with some warmed crusty Italian bread. Comfort food at it’s finest. My recipe is inspired by my dear Mother in Law, but with a healthy My Change For A Ten twist, with the help of Trader Joe’s here in West Hollywood CA. 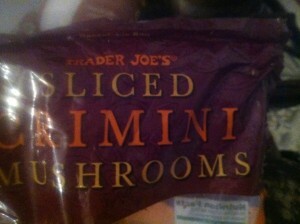 I am just a little obsessed with Trader Joe’s, particularly my neighborhood Trader Joe’s. The staff is the best you will ever find anywhere, always there to help and say hello to you by name. It makes me feel like I live in this little idyllic town. When my cat passed away last January one of the amazing staff members gave me a Dragon Plant, which means healing. I actually look forward to reading the famous Flyer, it is so witty and I have to admit I buy into the cute advertisements. This recipe is so easy and delicious. I skip the warmed loaf of bread but that would be a delicious addition to this one pot meal. Mix thoroughly and bring to a boil, reduce heat and simmer for 45 minutes to one hour. Let cool a little and enjoy with oyster crackers, which are not high calorie if you watch your portion. This soup is so easy. I absolutely loved this soup, it is a new staple in our home. I always listen to Big Band music when I cook, especially The Andrew Sisters. I can almost imagine I am cooking dinner for my honey in a small but cozy flat in Manhattan or Los Angeles in the 1940’s. 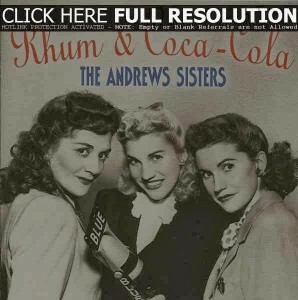 After all, a little Rum and Coca Cola never hurt anyone. 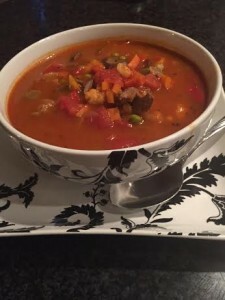 This entry was posted in clean eating, Cooking, fitness, going the distance, my change for a ten, Recipes, slow weight loss, soups, staying the course motivation, Uncategorized, weightwatchers, weightwatchersonline, you can do it and tagged easy recipes, easy soups, healthy and frugal, healthy body, healthy home cooked meal., healthy soup recipes, recipes, Soup recipes, trader joe's on August 1, 2015 by mychangeforaten. Good Morning and Happy Friday. I am running late today, I woke up at 7 am instead of 6 am and it makes a bit of a difference in my timing. 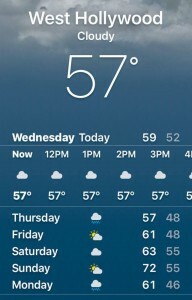 I am off to get ready for work and then Yoga tonight at Yogaworks for a Vinyasa class at 6 pm with Tom. Last night I made a fabulous Lentil and Black Bean Chili with assorted veggies and sweet potatoes, and it was so amazing. I was not sure how the sweet potatoes would work in the bean chili and it was so good. James loves it when I make him soups and chili’s. 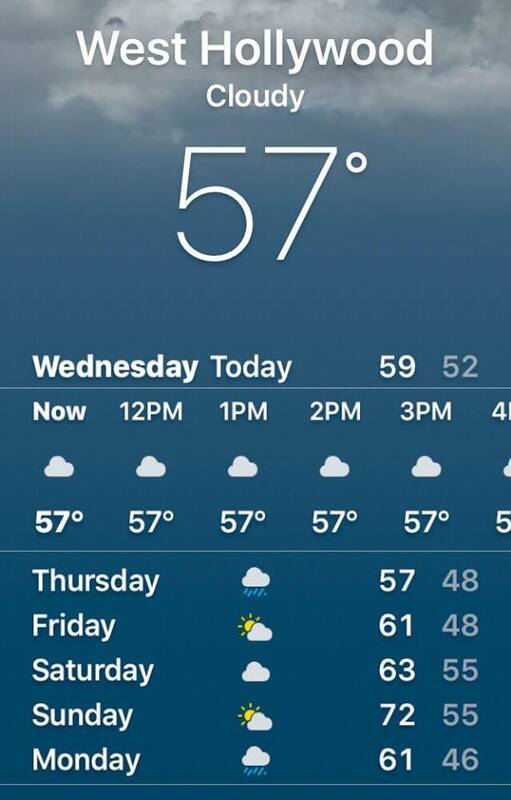 Perfect for the Autumn. Here is an old Autumn poem I wrote a few years ago, since it is soup season and a slight bit cooler here in Los Angeles. Happy Friday to all. This entry was posted in Uncategorized and tagged autumn recipes, Friday, Lentil Soup, poetry, Soup recipes, trader joe's on October 25, 2013 by mychangeforaten. 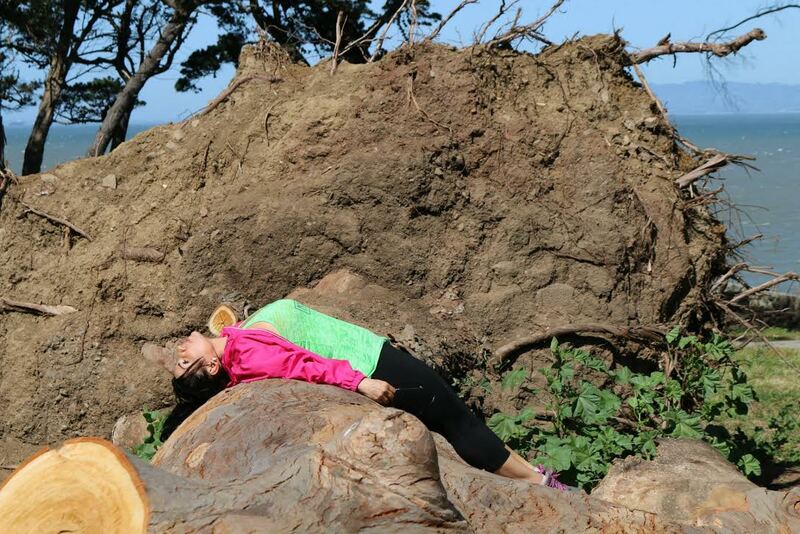 My evenings have been very busy with yoga and working out, and walking for an hour a day. 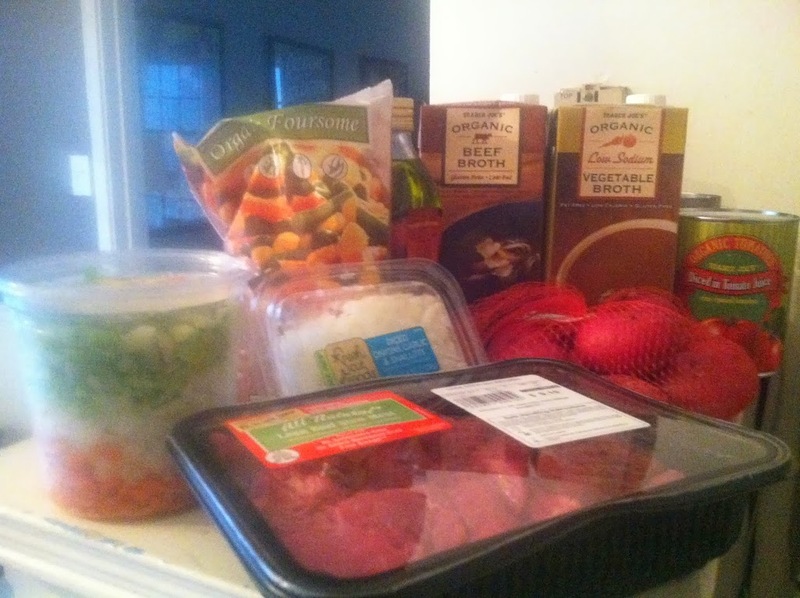 I do not always have time to cook daily like I did before, so I look for meals that can last more than a day. I love to cook one pot soups, especially as autumn approaches. 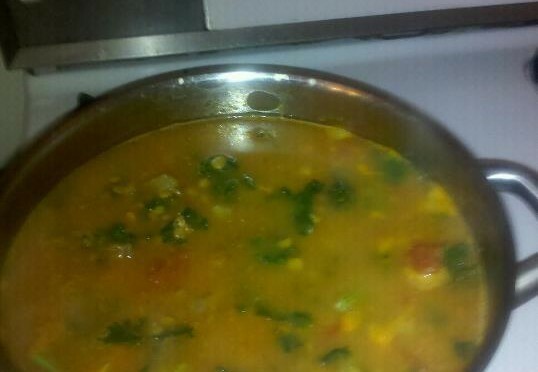 One of my favorite go to soups is my Mom’s Vegetarian Split Pea. It is a pot of delicious healthy soup, and so simple you could probably cook it in your sleep. 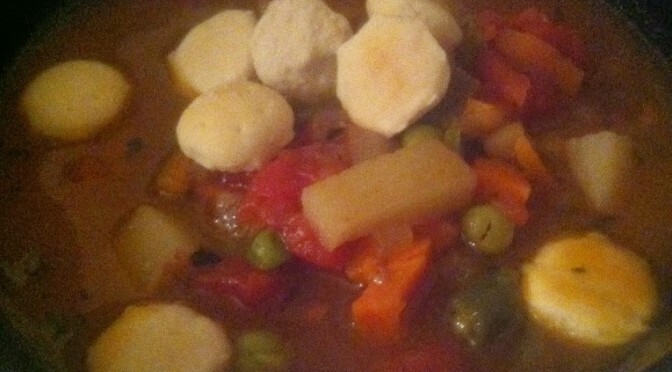 You can add whatever extra vegetables you like to the soup, to make it your own. 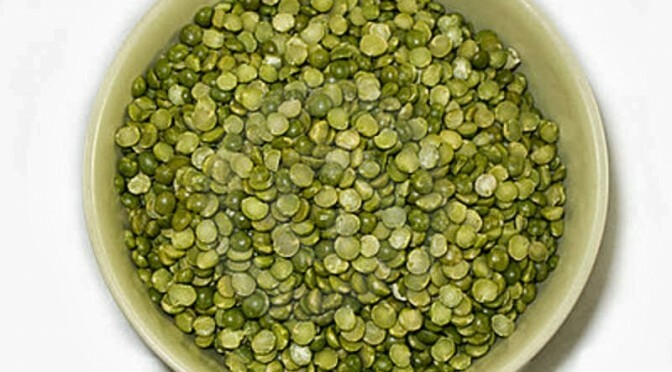 It is high in protein and fiber and low in fat. I do not puree’ it, I like the texture in its natural state. 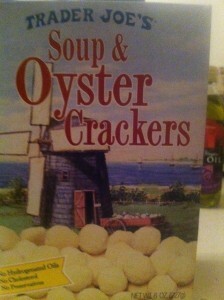 I love to have a few crackers with it, it warms me up from the inside out. 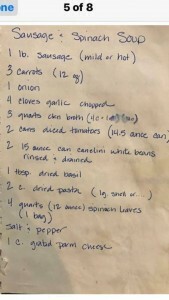 This recipe first came to me from my lovely Mother, for years when I lived in Cleveland, Ohio I was a vegetarian and she would whip up meals for me that would work for my lifestyle. This is one I have learned and adapted as my own, one of many. I am blessed to have such an amazing Mother and teacher, and my husband reaps the benefits as well. 1 Mirepoix mix from Trader Joe’s ( Chopped up celery, carrots, and onions) If you cannot find Mirepoix mix use one medium onion, 5 celery stalks, and 5 carrots, chopped. This is really the easiest soup. Warm the extra virgin oil for a few seconds in a large pot. Add the Mirepoix mix and the garlic and saute’ until translucent. I like mine cooked so I saute’ mine for at least five minutes. 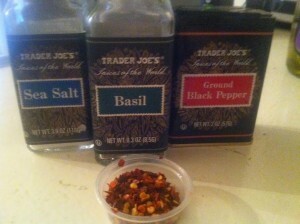 I flavor the veggies with a bit of sea salt, a generous does of ground pepper and basil. 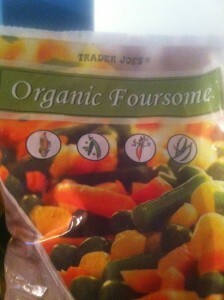 You can add whatever vegetables you like. Sometimes I add kale to my soup. 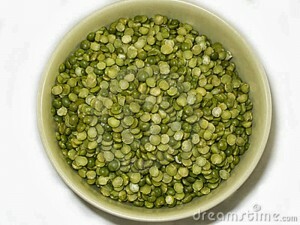 After the veggies cook, I add the 2 cartons of vegetarian broth, the whole bag of split peas, and I bring it to a boil. Season it a bit more, and cover and bring the temperature to low and simmer for 45 minutes to 1 hour. Boom, you have soup. It is that easy. Serve with crackers or some warmed whole grain bread from the oven. I skip the bread since I am working so hard on my My Change For a Ten weight loss and I may not be able to have just one slice. 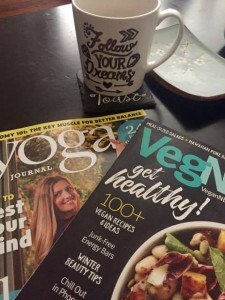 This entry was posted in Uncategorized and tagged Autumn, autumn recipes, Cooking like Mom, easy recipes, easy soups, health, healthy recipes, Soup recipes, soups, vegetarian recipes Trader Joe's on September 21, 2013 by mychangeforaten. It is Sunday, and lazy Sunday it is. I am doing well on my journey to lose weight and get fit. 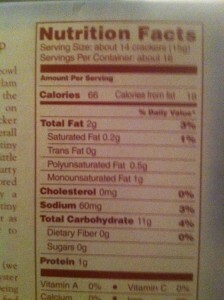 Tomorrow is my first weigh in, so I probably will make a nice light, low sodium meal for Sunday dinner. 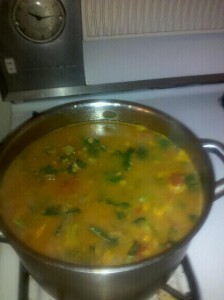 One of my staple recipes is my Italian Style Lentil Soup. 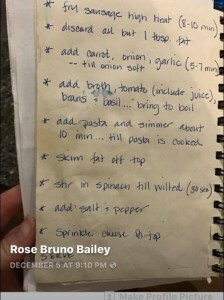 I make it almost every week, we love it and it is super healthy. I am great at making delicious vegetarian soups. I have become quite savvy at reinventing recipes to be healthy or vegetarian. I am no longer vegetarian but I eat that way most of the time. 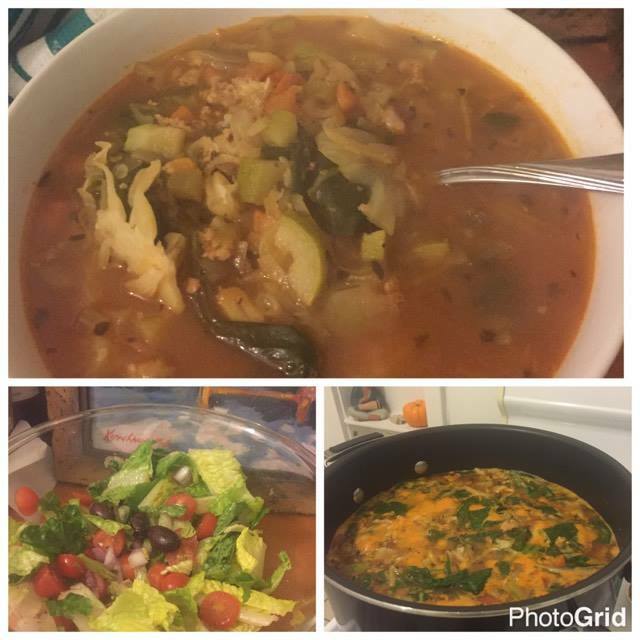 I hope you get the chance to make my simple yet wonderful Italian Style Lentil Soup. It is easy, inexpensive and oh so hearty. Serve it with some warmed crusty whole grain bread and you will sure win over even the most die-hard meat eaters of your family and friends. It is a big pot of deliciousness for all to savor and share, especially on a cool evening. I admit though, I also make this on a hot summer night. This soup is so healthy, and high in protein and fiber. A great way to eat a fulfilling meal and still stay on track. Chopped up onions, celery, and carrots. Enough to fill up the bottom of a semi large pot. 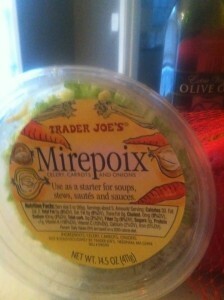 I use Mirepoix 14.5 oz from Trader Joe’s, it is already pre-cut and I just add my own garlic. 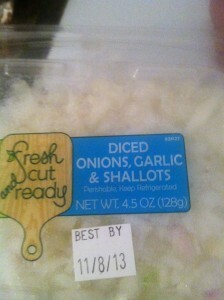 I use about six garlic cloves. 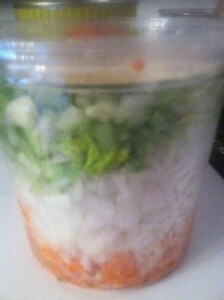 If you do not find Mirepoix use one large onion, two carrots, and two celery stalks, chopped fine. Two cartons of vegetable stock 32 fl oz. I use trader Joe’s. 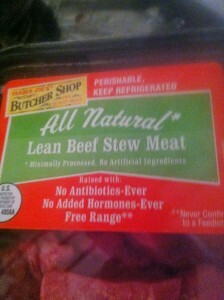 You can use regular or low sodium, I have tried both. 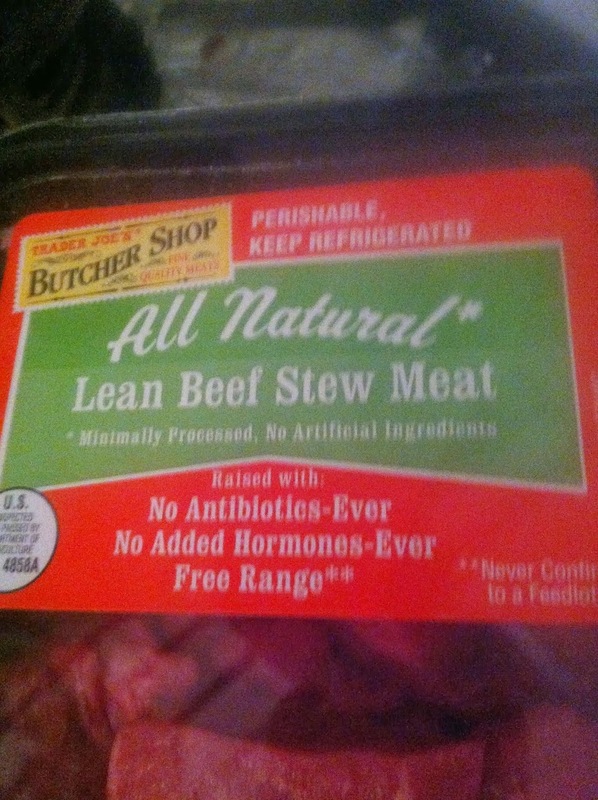 I usually use the low sodium vegetable broth. One large can of diced tomatoes in juice. Sea salt, ground pepper, dried basil. Saute garlic, onion, celery, and carrots in olive oil for a few minutes til the onion caramelizes and the vegetables cook down. Salt,pepper, and add some basil as you are cooking the vegetables. 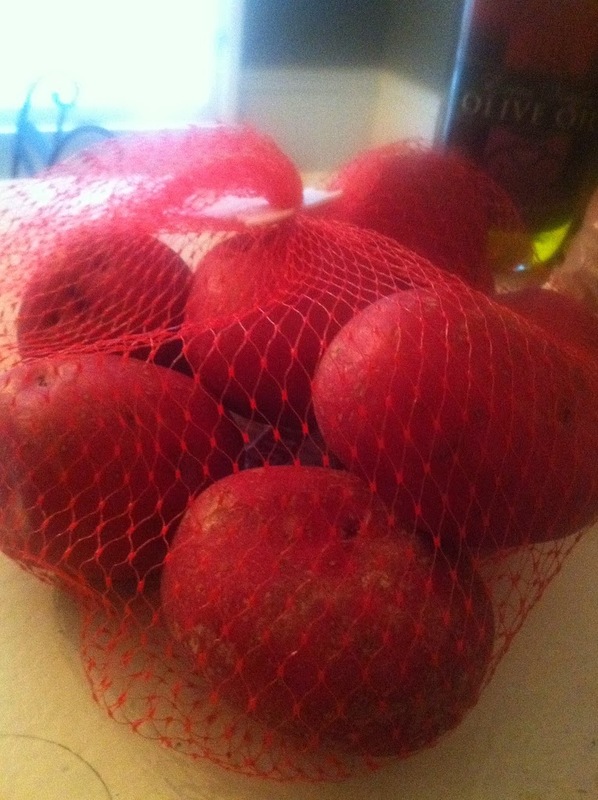 After they cook down mix in one small can of tomato paste. 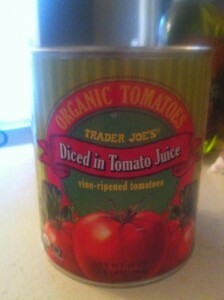 Add full bag of lentils, 2 cartons of vegetable stock, and whole can of tomatoes with juice. You may need to add a little bit of water to fill pot up. Add a bit more salt, pepper, and dried basil for flavor and stir. Bring to a rolling boil, then simmer on low for 45 minutes covered. When finished you can sprinkle Parmesan cheese and mix it in for more flavor. I once sauteed some kale and added it to the soup right before it was finished cooking. It made it richer and more stew like. 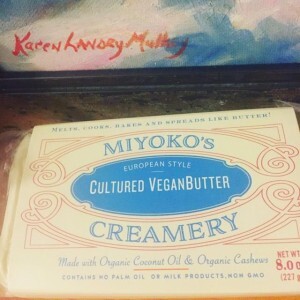 I serve this with warmed whole grain bread from the bakery. It is absolutely delicious. 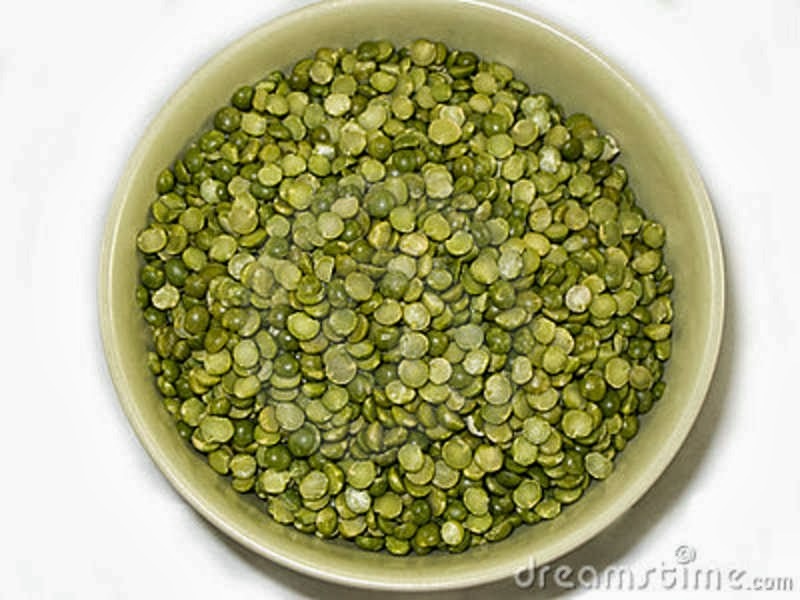 I hope you try and enjoy my Italian Lentil Soup Recipe. I love it and sometimes it is difficult to only have one bowl. Love and light to all from my west coast home to yours. Ciao for now. This entry was posted in Uncategorized and tagged healthy recipes, Italian recipes, Lentil Soup, Recipe. 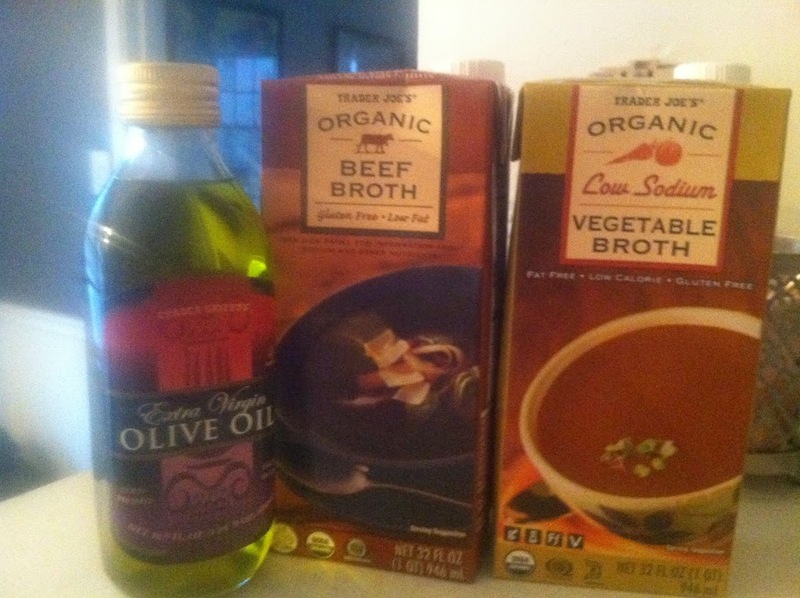 Italian food, Soup recipes, soups, staying on track, Vegetarian on July 21, 2013 by mychangeforaten.